My son Tim is a sophomore in high school and we spend a lot of time in the car going to one of his sporting events or one of his two siblings. Recently, I told him how much tougher I thought it was socially for him than it was for me when I was his age. 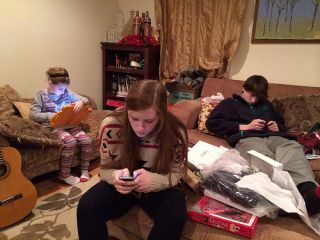 There really aren't a lot of private moments for our kids nowadays as they tend to take photos and share information without forethought whenever they get together in small or large groups. While I see some very positive effects from the connectedness of our kids, I often worry about the negative impact that a momentary lapse of judgement might have on the short-term or long-term future of Tim or one of his friends. Thank goodness some of my poor decisions as a teenager were not archived online for others to see! My only defense for my own children and others is to talk openly about this issue and provide concrete examples of the poor decisions of others. With this in mind, the story of Justine Sacco is one that we should all be sharing with our teenagers. Tarun Wadhwa outlines the story of this regretful tweet in his Forbes article, Justine Sacco, Internet Justice, And The Dangers of a Righteous Mob. For those who may have missed this story, Justine Sacco is PR Executive who made a racially insensitive tweet prior to boarding a flight to Africa. Unbeknownst to her, the tweet went viral and became a national news story as she made the lengthy flight to Cape Town. In the interim, she lost her job and who knows if she will ever be able to repair the damage done to her reputation. "this wasn’t really about fairness, it was about entertainment... Sacco’s comment was terrible and indefensible, but there is no shortage of offensive things said frequently in public across the internet... We’ve “democratized” witch-hunts; a paparazzi is nothing compared to the digitally-empowered righteous mob. The next Sacco might not be such a clear case and instead of pointing and laughing now, we’d be better served by analyzing how best to react to similar cases in the future." As I continue to reflect on these viral situations where individuals are caught up in these web controversies that may or may not be of their own doing, I will ask my children to consider the importance of not adding more hate to an already hateful commentary. My wish is that my children will see the hypocrisy in the actions of those who promote tolerance with ugly remarks about those who are intolerant. There will come a day when we will all seek to be pardoned for something and that is the time when we will reap what we have sowed with our network.